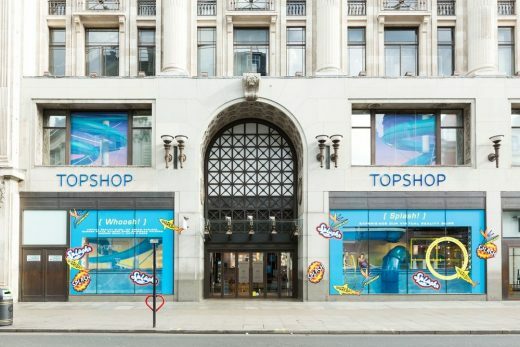 YourStudio created a multi-sensory & interactive window installation to launch Topshop’s Summer swimwear campaign which took customers on a real and virtual waterslide ride- through physical design and virtual reality – they combined both to create a truly unique, immersive and engaging window installation. 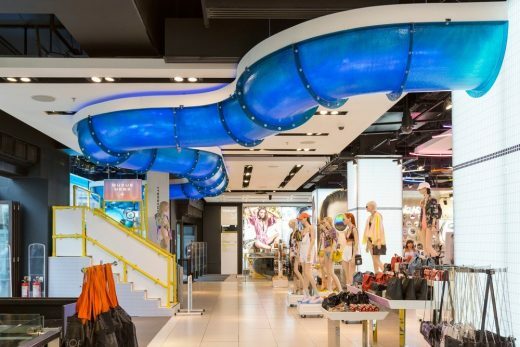 The physical installation starts with a swimming pool scene in the window of the store, with 65 metres of waterslide snaking around each floor, subtly leading customers towards the swimwear collection. 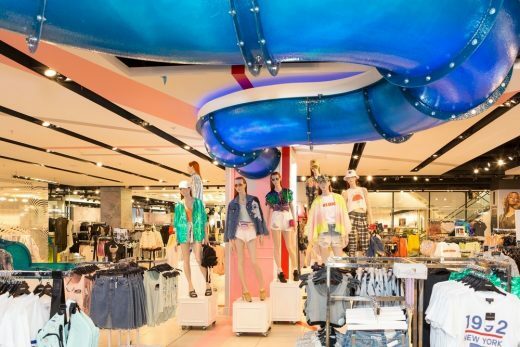 Coconut & sunscreen scents wafted around the store with the sounds of people splashing, flowing water and squawking seagulls to emulate the feeling of being at a water park in summer. 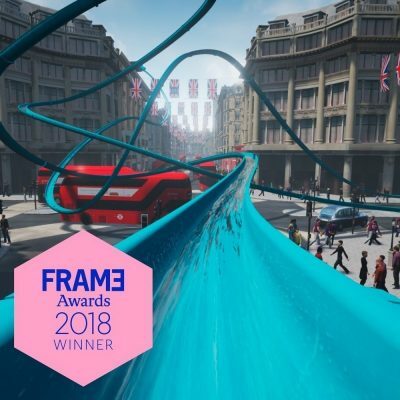 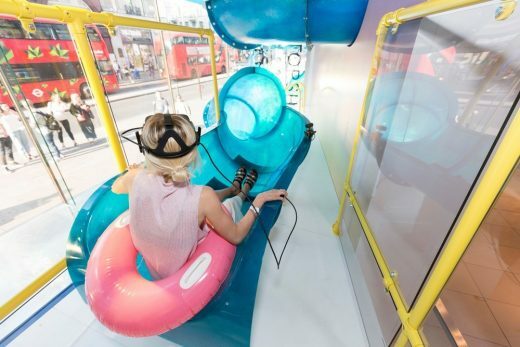 For the VR experience; customers sit within a ‘pool’ at the top of a slide before putting on VR goggles – the ride taking you down a waterslide weaving through shoppers and buses along Oxford Street, past iconic London buildings – all very fast – what a thrill! 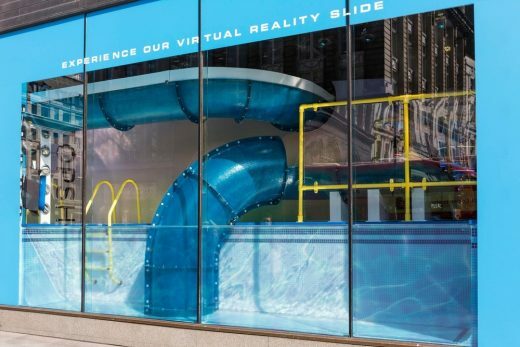 As the digital experience comes to an end, you land resting on a beach – perfectly feeling the holiday spirit. 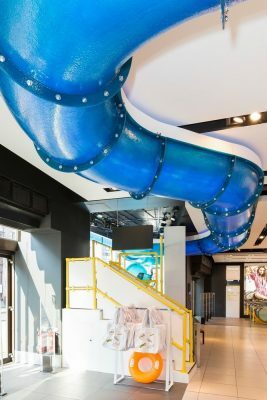 Area: Across two windows and throughout the store – total of 65 sq m waterslide installed.